When many of us think about our favorite genealogy websites, we think about the ones that allow us to search records easily—sites like FamilySearch and Ancestry.com that have great search tools. What we often (me included) overlook, are the records on genealogy sites that aren’t searchable. For example, did you know that FamilySearch has hundreds of collections that haven’t been indexed yet, and therefore aren’t searchable? When you use the site’s nifty search tool, it doesn’t include records in those unindexed collections. So, if you don’t want to miss an important record mentioning your ancestors, it’s best to browse the collections on FamilySearch, too. I recently came across some genealogy gold when I dove in to browsing some Italian records on FamilySearch. 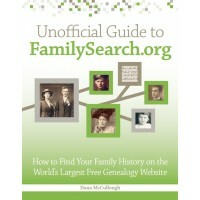 I found the collections by going to the Historical Records Collections list on FamilySearch. To give you some background, my family hails from the Lucca region of Italy, in a town called Bargecchia. I really hadn’t had any luck finding vital records in Italy for my Italian ancestors. That all changed after I found a collection of civil registration records from 1866 to 1929 for the Lucca region on FamilySearch. I never would have found these records if I hadn’t had a little patience to page through the online record images. In fact, finding these records didn’t take me nearly as much time as I anticipated. FamilySearch often breaks down the record images by smaller groups (such as by location, year, and/or record type) to help you narrow the amount of images to browse. You can read more about how I found these records and tips for browsing record collections on FamilySearch in my forthcoming book, Unofficial Guide to FamilySearch.org, which will be published by F+W Media in August 2015.